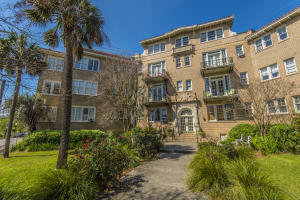 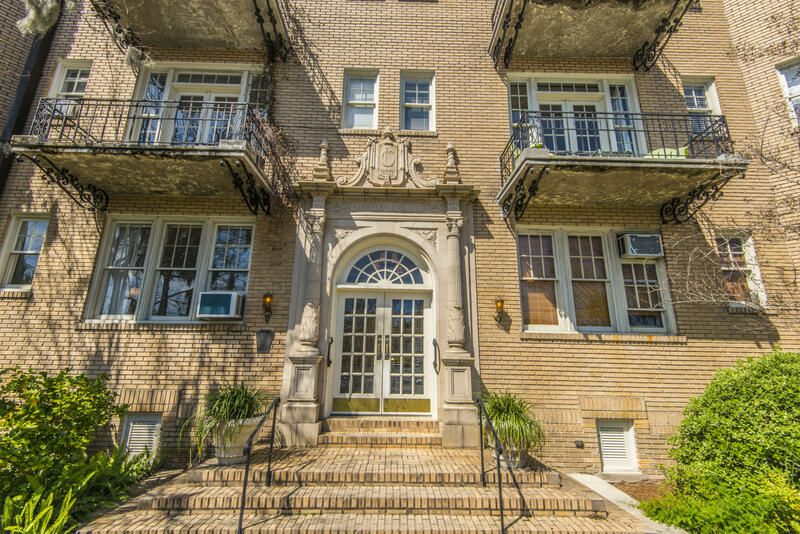 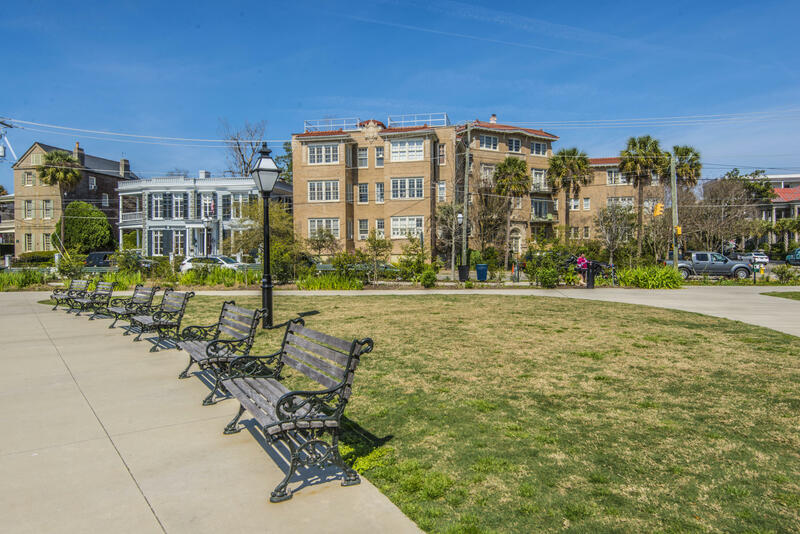 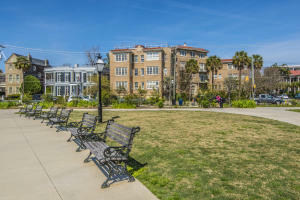 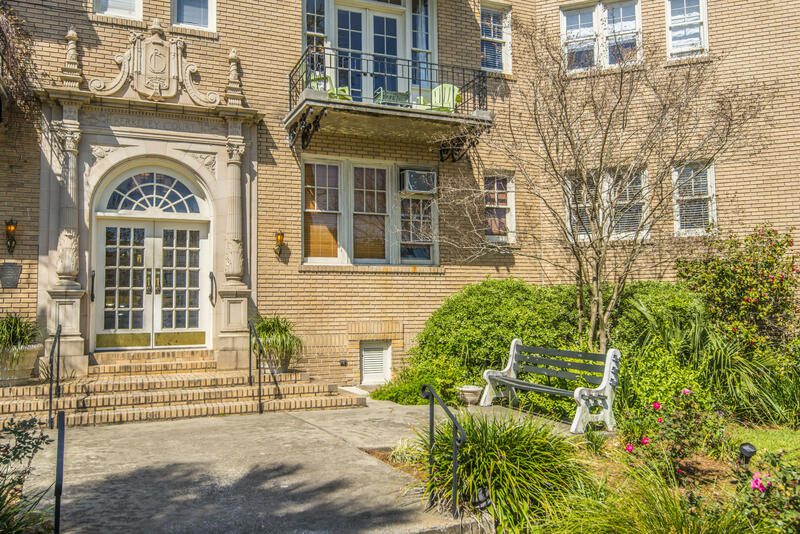 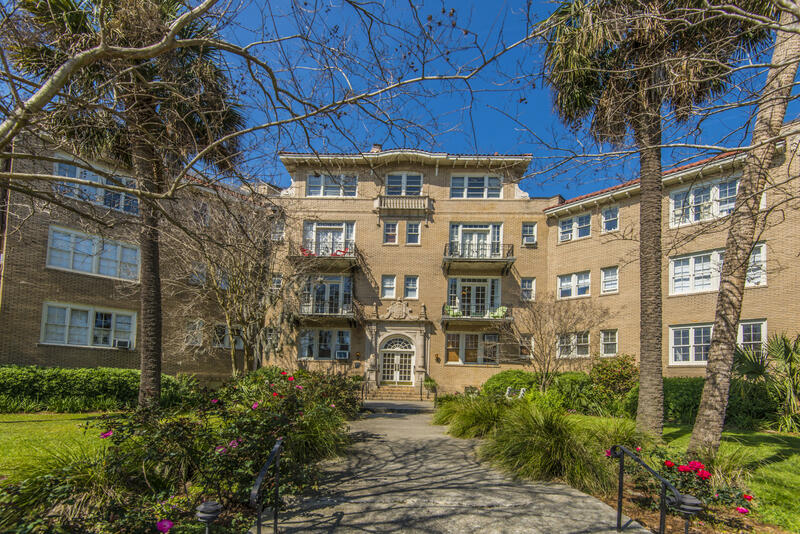 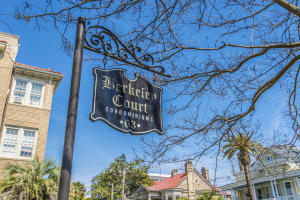 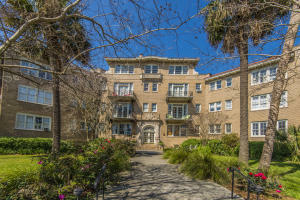 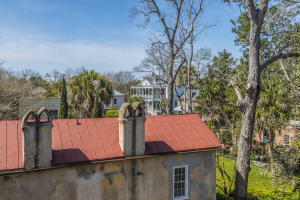 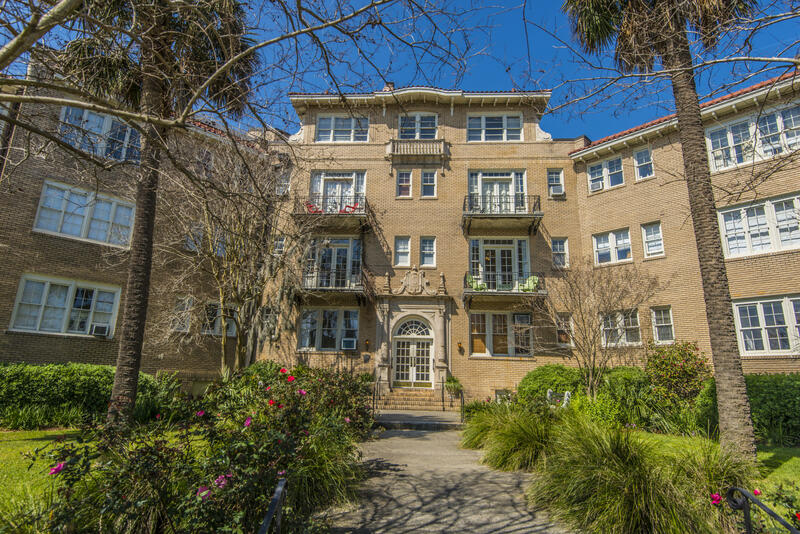 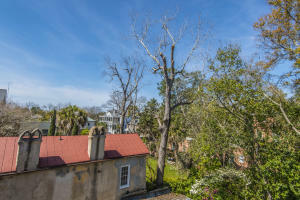 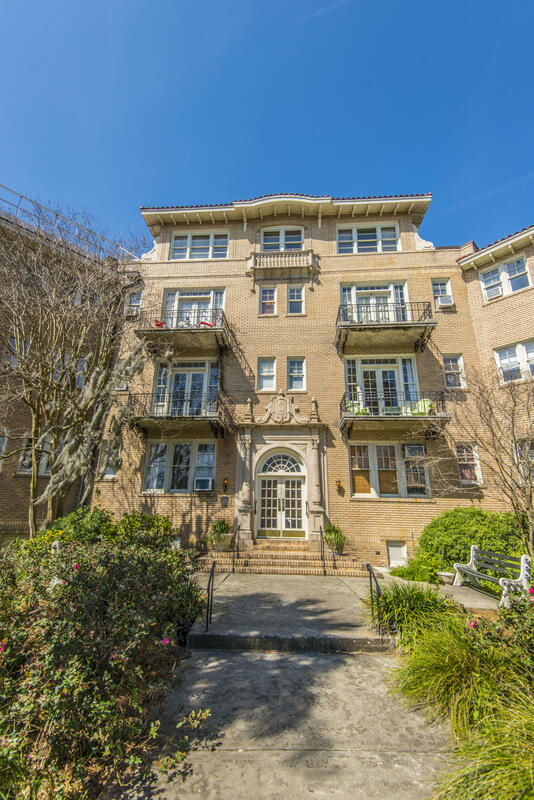 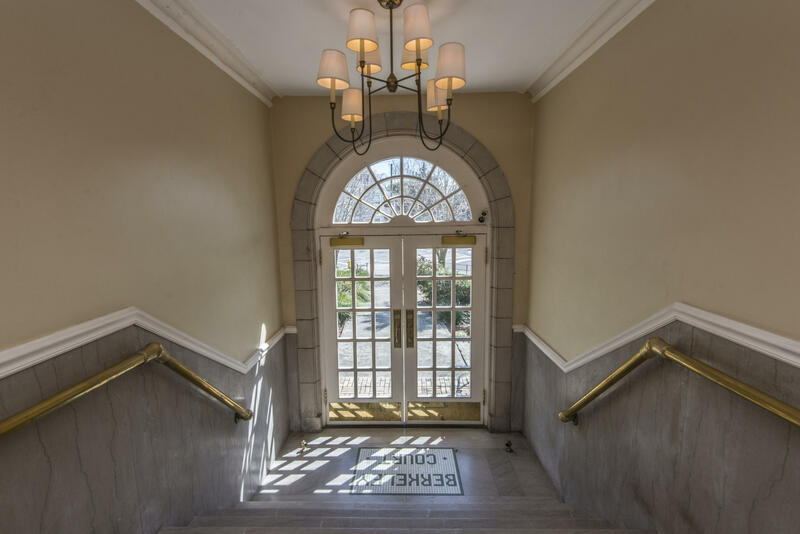 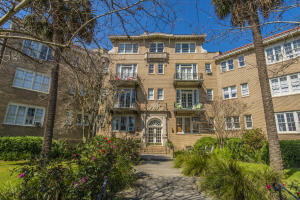 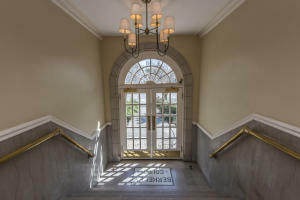 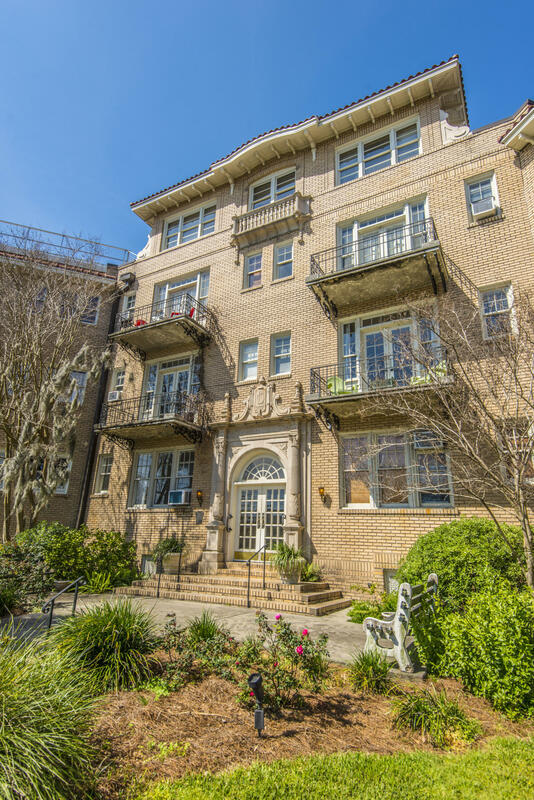 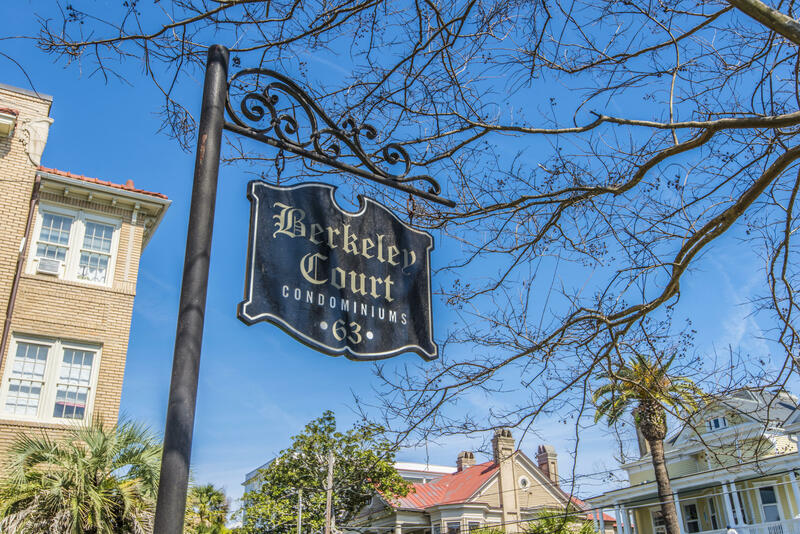 Berkeley Court condominiums are located in downtown Charleston and convenient to shopping, restaurants and historic areas. 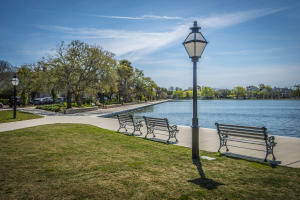 Not to mention the BEAUTY of Colonial Lake that is just across the street and only a couple of blocks from Charleston's Historic Battery. 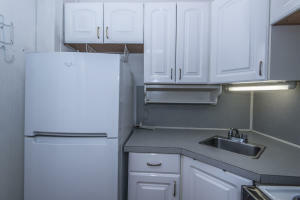 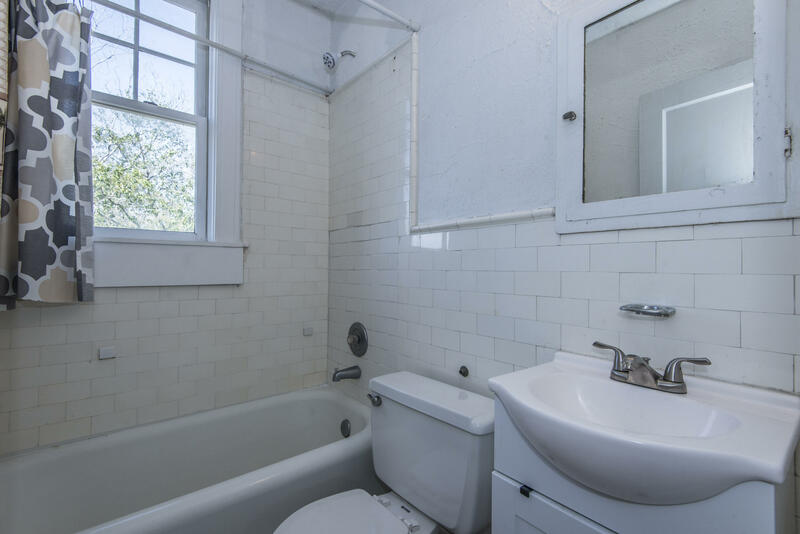 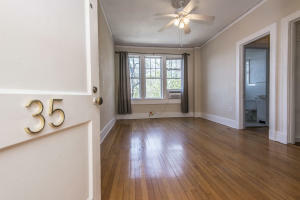 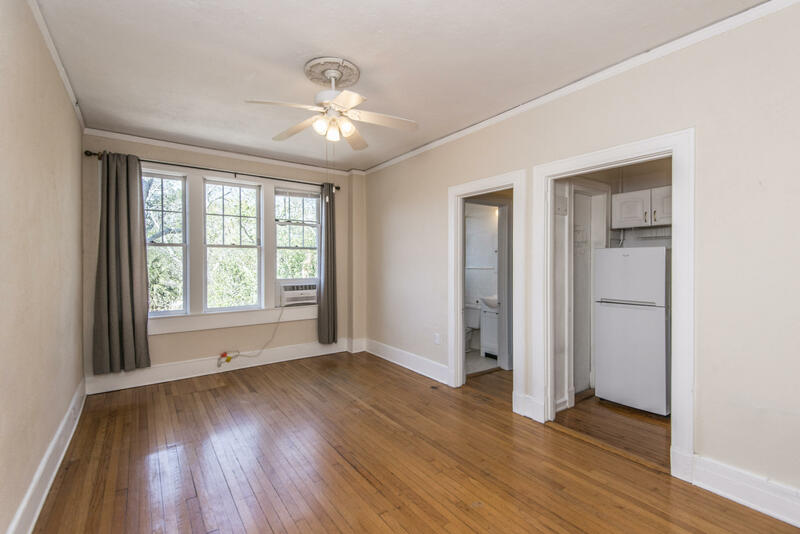 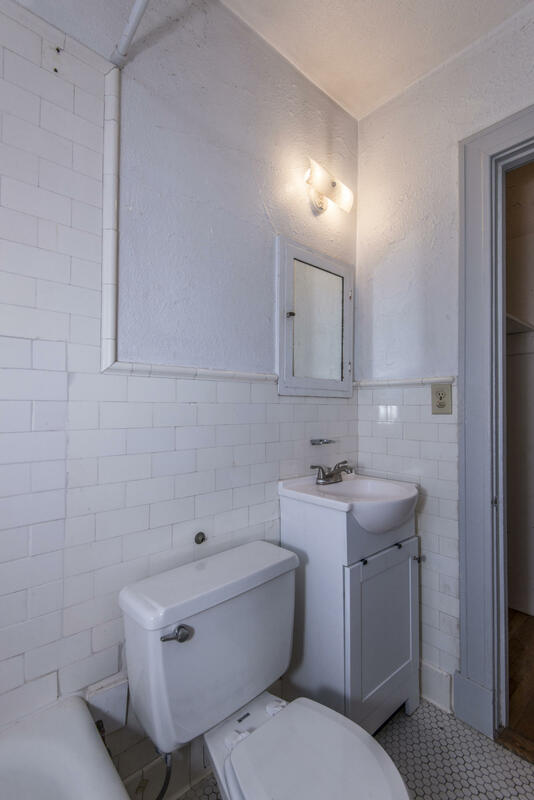 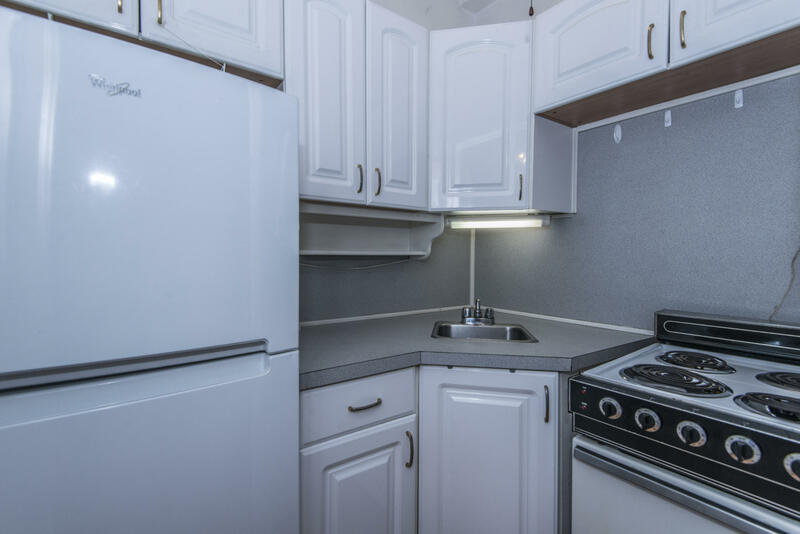 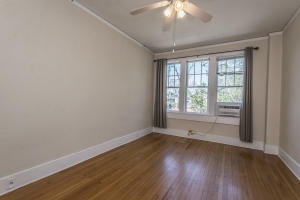 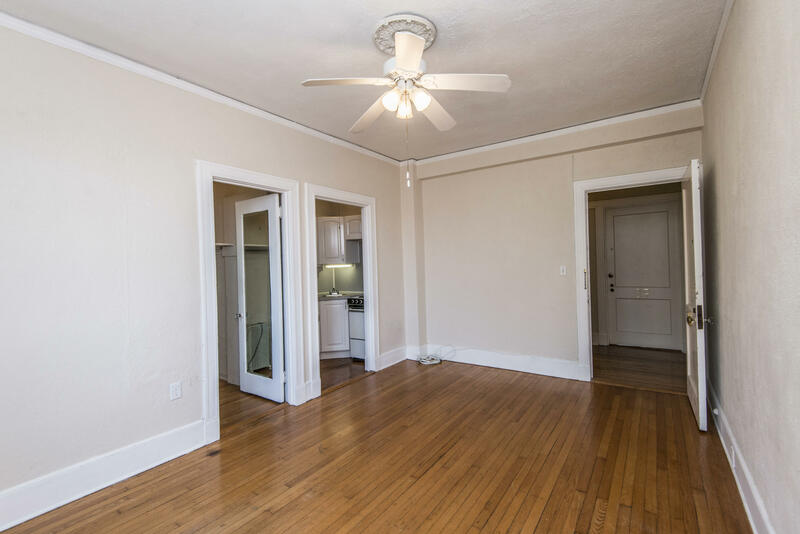 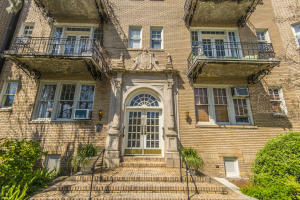 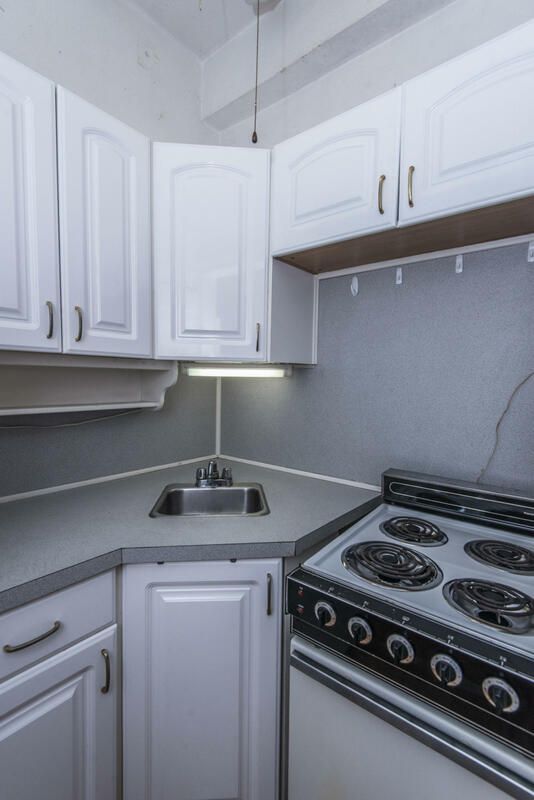 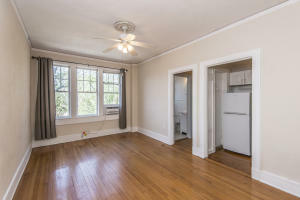 This one bedroom/one bath unit features hardwood floors, high ceilings and a kitchen. 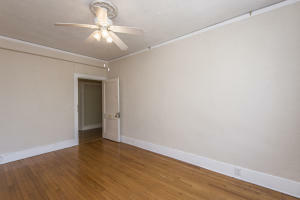 Ready to Move In ! 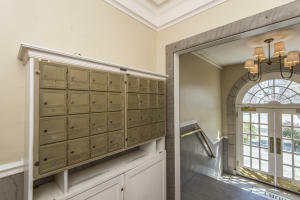 The building has a convenient laundry facility and elevator. 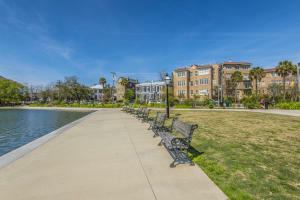 Low Regime fees makes it attractive for full time residents, investors or a second home.